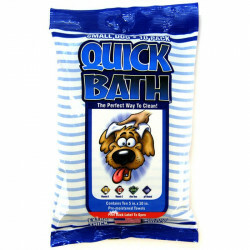 Quick Bath pet wipes allows you the ability to clean your pet with an easy Quick Bath Dog Wipe, Quick Bath Cat Wipe or Quick Bath pet wipe for any small pet! Use Quick Bath Pet Wipes when traveling, camping, on the go or when ever you need to quickly clean and sanitize your pet from harmful bacteria, dirt and grime! Quick Bath Pet Products knows that travel can be a pain, especially with a pet in tow. Bathing facilities are hard to come by or, more likely, non existant. Thats where Quick bath pet travel wipes come in! Use Quick Bath wipes to quickly remove dirt, debris and odor from your pets coat (or less pleasant things from its bottom) while on the go. 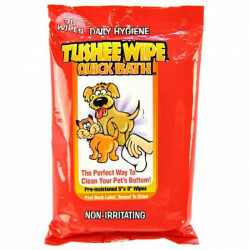 Quick Bath wipes are quick, easy to use and will not leave your pets skin feeling dry or irritated. Use Quick Bath to get your pet clean again, right away! Be sure to browse all of our Quick Bath pet products to make sure you find just the right on the go clean up or grooming solution for your dog or cat. 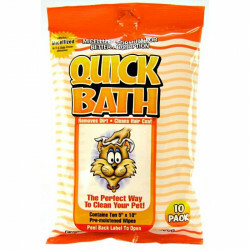 Pet Mountain is pleased to be a leading vendor of great Quick Bath products. 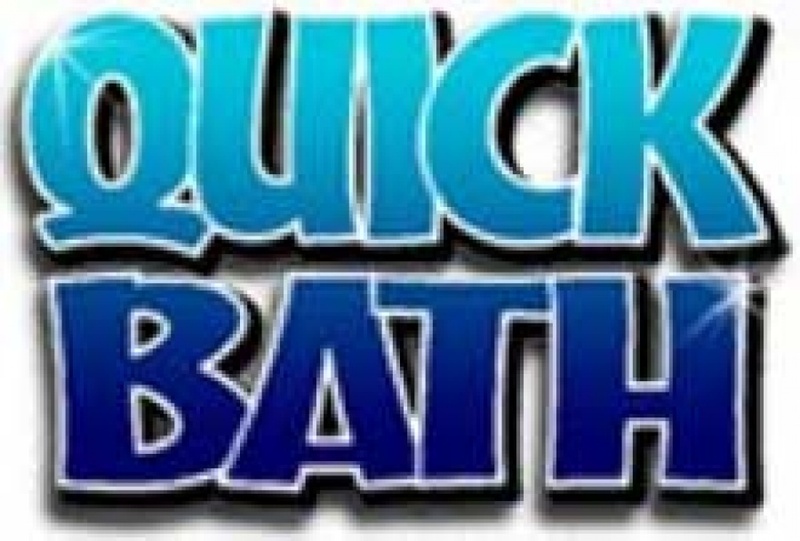 Pet Mountain is proud to offer you a wide selection of Quick Bath pet products, at the very best prices available anywhere! Take a look at all of our huge selection of great deals! Cant find something youre looking for? Let us know! Wed love to help. Be sure to check out our online coupons and discount shipping on all your favorite products.